One thing is true, and that is death comes for all of us, and most will experience the devastation of losing someone we love at some point in our lives. 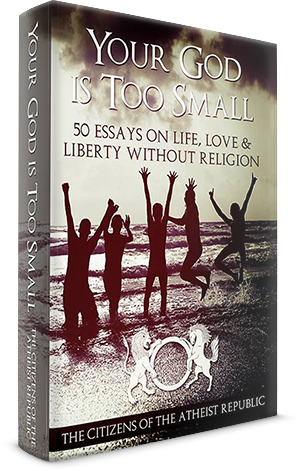 I'm one such atheist mourner, and I have been asked to write about that topic for Atheist Republic. Quite frankly, grief and mourning are subjects that the varied, widespread, iconoclastic atheist community simply do not talk about very much. My goal is to change that. Both of my parents died when I was in my mid-twenties, and as an only child with no financial stability and barely out of college, my life was irrevocably twisted beyond all recognition. The emotional consequences of their deaths were catastrophic and long-lasting. Part of the problem, and the reason I eventually choose to write about the experience, is that as an atheist I was unmoored by my grief, not just emotionally but in a very literal sense. My parents had re-joined the Episcopal Church in their final years, as a warding against death, perhaps? I don't really know why. They did not talk about the reasons. I became active in it out of a sense of familial duty, but there were no answers there for me. The community of people I knew were kind, but they were also extremely devout and did not understand my emotional distance or resistance. Church was a new thing for me, though, and I simply did not get it. While my parents were deists, their faith was of the most laissez-faire kind for most of my life and the household I was raised in was functionally agnostic. This means I am in the small minority of people worldwide who were raised without religious instruction or indoctrination about the existence of a god/gods. Ironically this made religion very exotic to me, but even now my forays into churches and synagogues feel emotionally disconnected from my life. They are interesting places, but not relevant to me. I did spend a couple of years "searching for God" out of curiosity. Being skeptically minded, I thought there was a possibility that I just missed out and should explore religion with an open heart. I'll probably write more about how that relates to my journey through grief and mourning, but for now it is only important in noting that nothing religion — any religion — offered me helped with my grief. I spiraled down for ten years; I had lost everything, really, not just my parents. I lost our house, most of their belongings, our pets, and my career. This was because I had walked out of college with a new degree straight into being a full time caretaker for my both of parents for over three years. By the time they were dead, I was without any place to call home. I did not know what I wanted out of life anymore and I was flat broke, with just a car and a storage unit full of what I could salvage from the house before it was foreclosed on. I was furious about what had happened to them and to me, and I was shrouded in a grief so profound that I could not confront it directly. My indirect methods were pretty unhealthy, truth be told. Maybe that is simply how my story had to unravel. But…maybe not. Maybe if I was not stuck reading between the lines of god-soaked books such as C.S. Lewis's "A Grief Observed" for what little comfort and understanding I could leech from them, I would have handled things better. That's a road untaken and I'll never know, but if sharing my experiences can help others know that they are not alone in their godless grief, maybe I can help. Sometimes I feel like that despair.com poster of the sinking ship with the tag, "It could be that the purpose of your life is only to serve as a warning to others," but maybe that's enough of a reason for me to do what I do. Future posts will talk about specific aspects of grief and mourning. 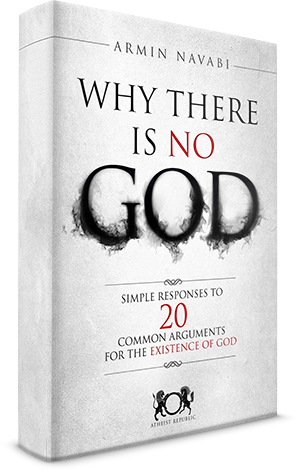 I have to be honest and warn for the fact that this is not a topic that lends itself to the rational logic of most atheist discussions. Grief, like love and joy and anger, is a violently messy emotion that is as inescapable as death itself. The heart of atheist grief, though, is internal. It is about what is going on in lives of the living, those who are the survivors of death, and what we feel and how we deal with those feelings without the imposed (and often oppressive) structure of religion, faith, and religious rituals. Our grief is not weighted in hopes or dreams of an afterlife, which is where most religious mourners find comfort. We have to create our own mourning "rites" and empower them with the emotions we feel here and now. I'm writing to let you know that you are strong enough to do that, even if you don't feel like you can get out of bed in the morning because your loss is so great. You aren't alone in your experiences of godless grief.